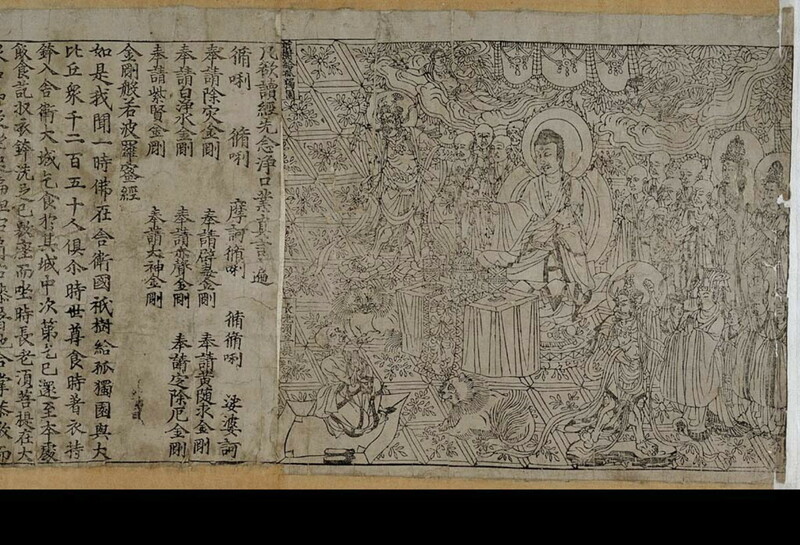 Jataka Tales chronicled the Bodhisatta’s journey from life to life to perfect the 10 Paramis (10 Great Virtues) before Buddhahood. NCE upon a time a number of carpenters lived on a river bank near a large forest. Every day the carpenters went in boats to the forest to cut down the trees and make them into lumber. One day while they were at work an Elephant came limping on three feet to them. He held up one foot and the carpenters saw that it was swollen and sore. Then the Elephant lay down and the men saw that there was a great splinter in the sore foot. They pulled it out and washed the sore carefully so that in a short time it would be well again. He held up one foot and the carpenters saw that it was swollen and sore. So after that the Elephant used to pull up trees for the carpenters. Sometimes when the trees were chopped down he would roll the logs down to the river. Other times he brought their tools for them. And the carpenters used to feed him well morning, noon and night. So the old Elephant told his son how the carpenters had taken good care of him when he was badly hurt and took him to them. The white Elephant did  as his father told him to do and helped the carpenters and they fed him well. The Elephant used to pull up trees for the carpenters. When the work was done at night the young Elephant went to play in the river. The carpenters’ children played with him, in the water and on the bank. He liked to pick them up in his trunk and set them on the high branches of the trees and then let them climb down on his back. One day the king came down the river and saw this beautiful white Elephant working for the carpenters. The king at once wanted the Elephant for his own and paid the carpenters a great price for him. Then with a last look at his playmates, the children, the beautiful white Elephant went on with the king. With a last look at his playpmates the beautiful white Elephant went on with the king. The king was proud of his new Elephant and took the best care of him as long as he lived. 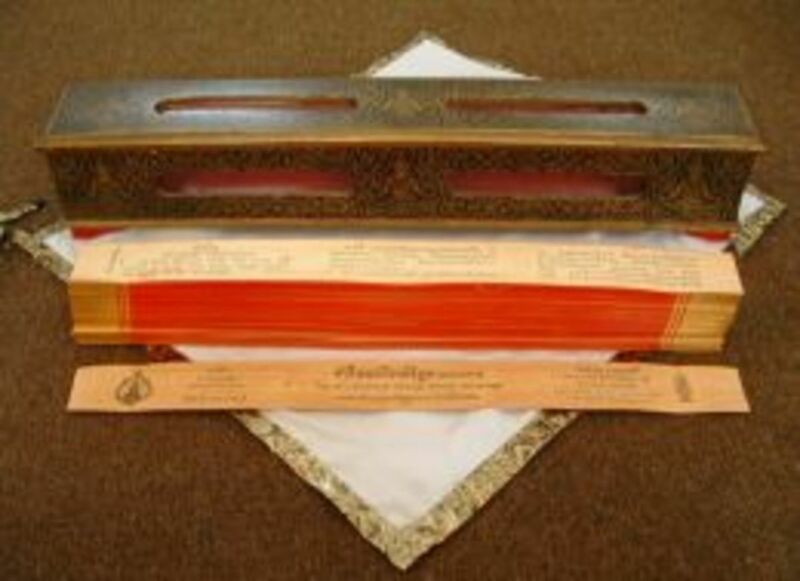 There are five nikayas (collections) in the Sutta Pitaka. Looking at the nikayas you’ll notice Khuddaka Nikaya, which is “the division of short books”. This consists of 15 books (eighteen in the Burmese edition) with many Buddhist stories and verses inside. 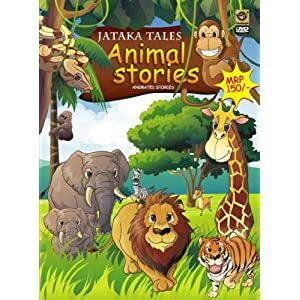 Book 10 of the Khuddaka Nikaya is the Jataka. 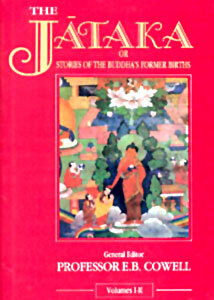 The Jātaka is a collection of 547 stories, from the Sutta Pitaka division of the Tripitaka. 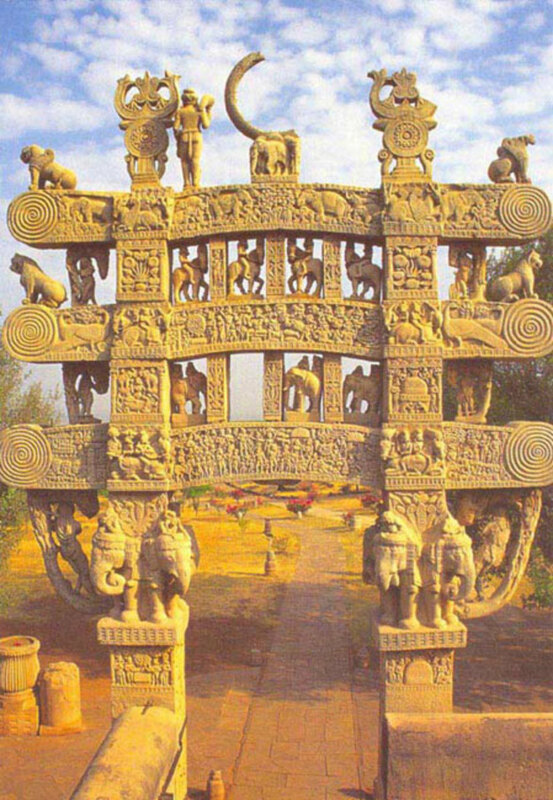 Like the rest of the Tripitaka, the Jataka is in Pali, a north Indian dialect related to Sanskrit, which appears to be the literary language of early Buddhism. In his earlier births Gautama is said to have been a Pali Bodhisatta (a being destined to acheive enlightenment), who in each life, born as an animal, person, or god, moves a step closer to perfect wisdom. The perfect wisdom being the attainment of Buddha (an “Enlightened Being”). 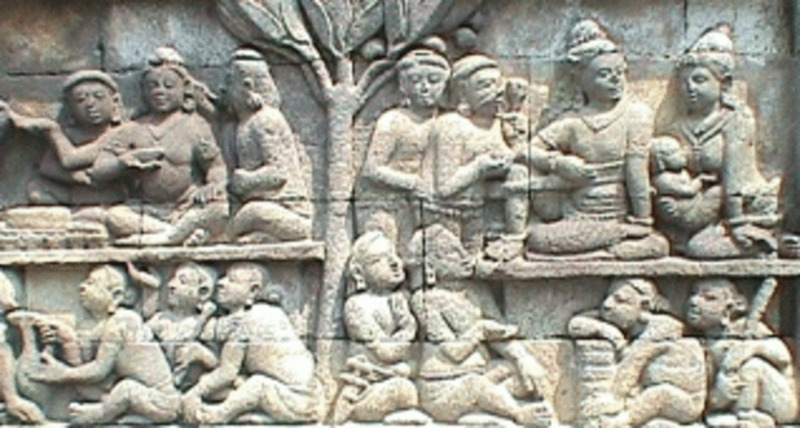 As the tale begins, you find the Buddha in conversation with his Buddhist monks or lay followers. A question from one of them will bring to the teacher’s mind a story of the past (that is, of one of his past lives as a Bodhisattva), which he then tells to illustrate a point of conduct. This is the main narrative, with its most dramatic moments highlighted by one or more stanza (gatha) spoken by a character or characters within it. At the end, the Buddha comments on his role as the Bodhisattva hero of the tale. The rebirth theme, together with the specifically Buddhist ideals of conduct expounded, mark the story as a Jataka. 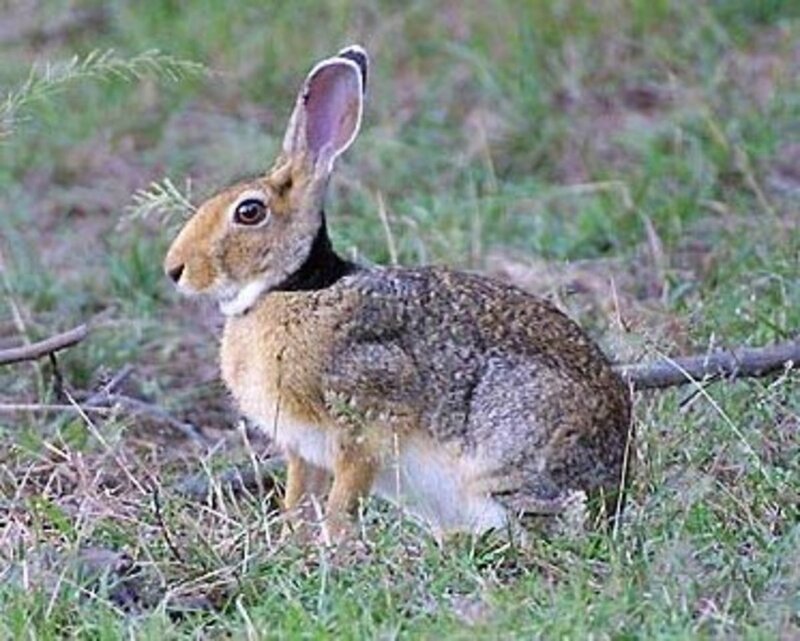 Once upon a time when Brahmadatta was reigning in Benares, The Bodhisattva came to life as a young hare and lived in a wood. On one side of this wood was the foot of a mountain, on another side a river, and on the third side a border-village. The hare had three friends — a monkey, a jackal, and an otter. These four wise creatures lived together and each of them got his food on their own hunting ground, and in the evening they again came together. The hare in his wisdom by way of admonition preached the truth to his three companions, teaching that alms are to be given, the moral law to be observed, and holy days to be kept. They acceped his admonition and went each to his own part of the jungle and dwelt there. And so in the course of time, the Bodhisattva one day observing the sky and looking at the moon knew that the next day would be a fast-day, and addressing his three companions he said, “Tomorrow is a fast-day. Let all three of you take upon you the moral precepts, and observe the holy day. To one that stands fast in moral practice, almsgiving brings a great reward. Therefore feed any beggars that come to you by giving them food from your own table.” They readily assented, and abode each in his own place of dwelling. On the morrow quite early in the morning, the otter sallied forth to seek his prey and went down to the bank of the Ganges. Now it came to pass that a fisherman had landed seven red fish, and stringing them together on a withe, he had taken and buried them in the sand on the river’s bank. He then dropped down the stream, catching more fish. 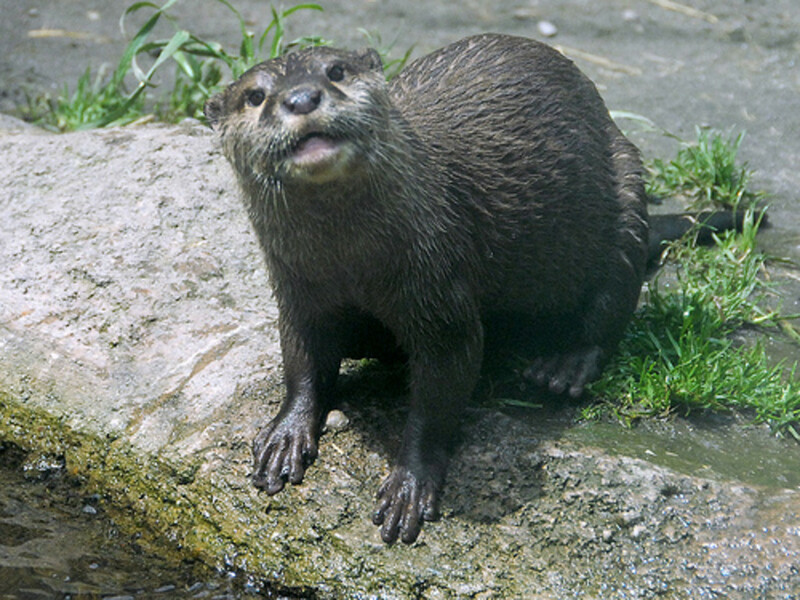 The otter, scenting the buried fish, dug up the sand till he came upon them, and pulling them out cried three times, “Does anyone own these fish?” Lacking a reply and not seeing any owner he took hold of the withe with his teeth and laid the fish in the jungle where he dwelt, intending to eat them at a fitting time. Laying down, he thought of how virtuous he was! The jackal too set forth in quest of food and found in the hut of a field-watcher two spits, a lizard, and a pot of milk-curd. And after thrice crying aloud, “To whom do these belong?” and not finding an ownder, he put on his neck the rope for lifting the pot, and grasping the spits and lizard with his teerth, he brought and laid them in his own lair, thinking, “In due season I will devour them,” and so lay down, reflecting how virtuous he had been. 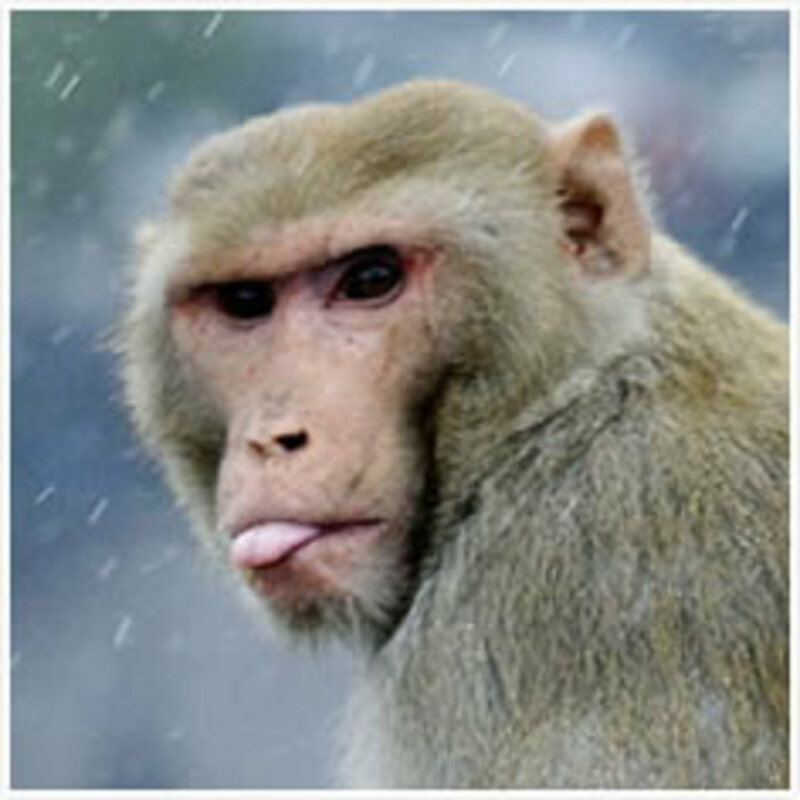 The monkey also entered the clump of trees, and gathering a bunch of mangoes laid them up in his part of the jungle, meaning to eat them in due season, and then lay down, thinking how virtuous he was. 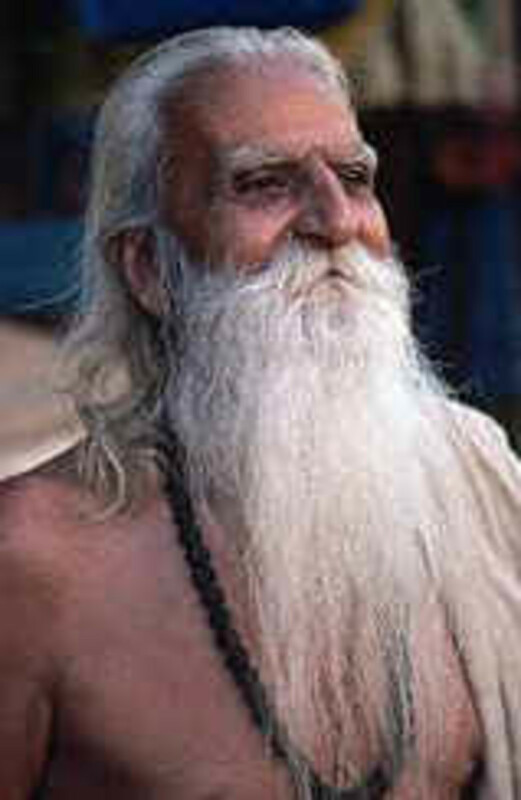 O brahmin, eat thy fill, I pray, and stay within this wood. If thou shouldst deign within this wood a while with us to stay. ‘Tis thine to enjoy, if thou canst dwell content in forest glade. But roast with fire my flesh I yield, if thou with us wouldst live. “Wise Sir,” he replied, “I am no brahmin. I am Sakka, and I have come to put your virtue to the test.” The Bodhisatta then said, “If not only thou, Sakka, but all the inhabitants of the world were to try me in this matter of almsgiving, they would not find in me any unwillingness to give,” and with this the Bodhisatta uttered a cry of exultation like a lion roaring. Then said Sakka to the Bodhisatta, “O wise hare, be thy virtue known throughout a whole aeon.” And squeezing the mountain, with the essence thus extracted, he daubed the sign of a hare on the orb of the moon. 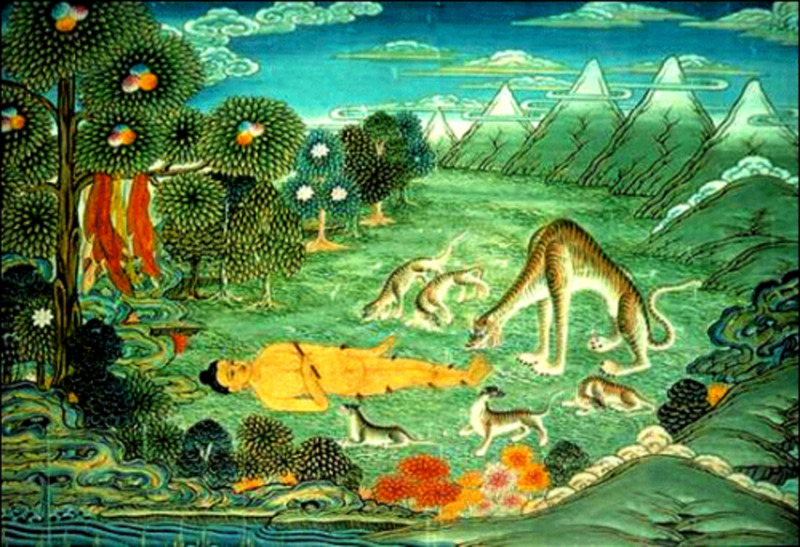 And after depositing the hare on a bed of young kusa-grass, in the same wooded part of the jungle, Sakka returned to his own place in heaven. And these four wise creatures dwelt happily and harmoniously together, fulfilling the moral law and observing holy days, till they departed to fare according to their deeds. Translated by H. T. Francis and E. J. Thomas. Fast-day — In the lunisolar calendar followed by Buddhism,Hinduism, and Jainism, some days, corresponding to particular phases of the moon, are set aside for keeping fasts. “Therefore feed any beggars” — Begging is part of the vow of poverty observed by Buddhist monks and many hindu ascetics. Sakka — Indra, king of gods, who rewards those who display extraordinary virtue. Stanza — The traditional stanza known as gatha. The formula by which the stanzas are introduced shows that they were meant to be memorized. The Pali stanzas in the Jātaka tales are very old, stylistically more archaic than the stanzas of the Hindu epics, and seem to have been used by monks as keys to memorize and summarize the tales. 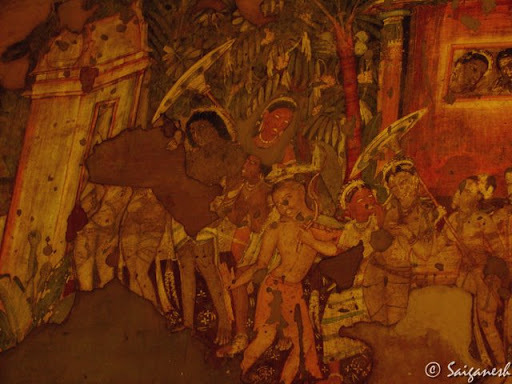 Scene for The Life of the Buddha Once on a time when Brahmadatta was reigning in Benares, The Bodhisatta was born into a merchant’s family and on name-day was named “Wise.” When he grew up he entered into. Once on a time when Brahmadatta was reigning in Benares, The Bodhisatta was born into a merchant’s family and on name-day was named “Wise.” When he grew up he entered into partnership with another merchant named “Wisest,” and traded with him. So, these two took five hundred wagons of merchandise from Benares to the country-districts, where they unloaded their wares, returning afterwards with the profits to the city. When it came time to divide their proceeds, Wisest said, “I must have a double share.” “Why so?” asked Wise. “Because while you are Wise, I am Wisest; and Wise ought to have only one share to Wisest’s two. “But we both had an equal interest in the stock-in-trade and in the oxens and wagons. Why should you have two shares?” “Because I am Wisest.” And so they talked away till they fell to quarrelling. “Ah!” thought Wisest, “I have a plan.” He then bade his father to hide in a hollow tree, enjoining the old man to say, when the two came, “Wisest should have a double portion.” This arranged, he went to the Bodhisatta and proposed to him to refer the claim for a double share to the competent decision of the Tree-Sprite. 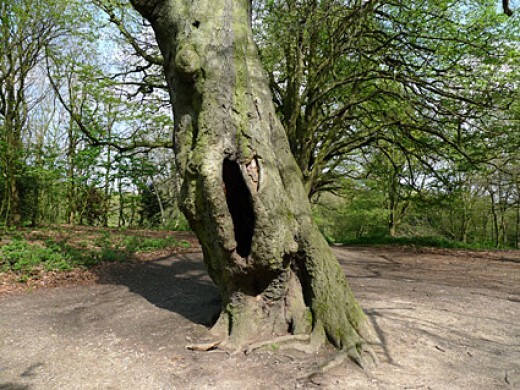 Then he made his appeal in these words: “Lord Tree-Sprite, decide our cause!” Hereupon the father, who was hiding in the tree, in a changed voice asked them to state the case. “Wise should receive one share, and Wisest two” was the response. Through Wisest, I’m nigh roasted in the flame. Then the two merchants made an equal division and each took half; and at their death passed away to fare according to their deserts. Bodhisatta — “A being on the path to enlightenment.” or a buddha-to-be; more commonly known by the Sanskrit equivalent Bodhisattva. In the Jātaka the term always connotes Gautama Buddha in one of his previous incarnations. Tree Sprite — One of the many demigods whose worship was absorbed into early Buddhism from popular cults of tree worship (male and female tree deities are abundantly represented in early Buddhist art). Opinion Outpost — Pay-Out Worth The Sign-Up? 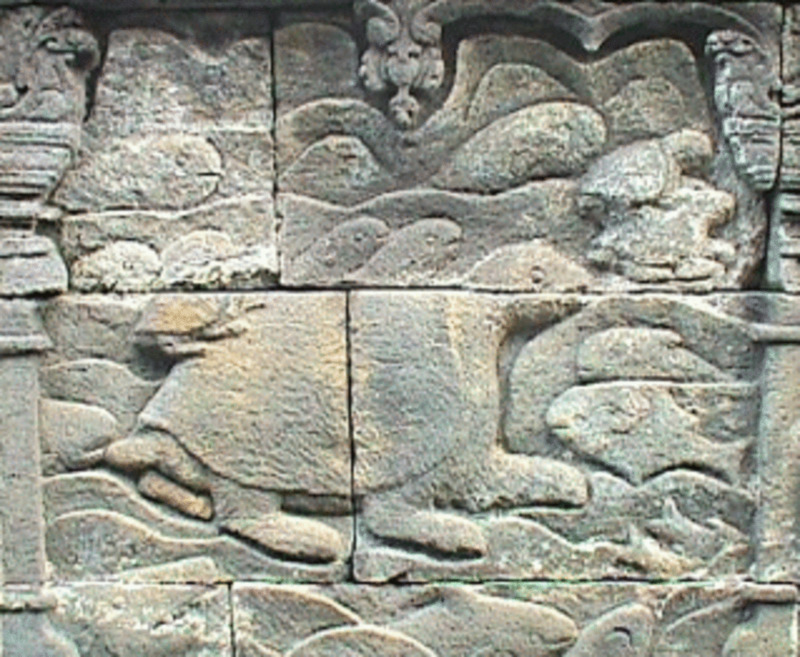 Buddhist beliefs are evidenced in the stories at moments like that of the hare’s self sacrifice. In the Buddhist doctrine utterly selfless acts and attitudes are a crucial component of the path to enlightenment and thus to liberation from the cycle of birth and death.The basic decider of one’s liberation is karma. Good deeds, like that of the hare’s self sacrifice, will bring one good fortune. 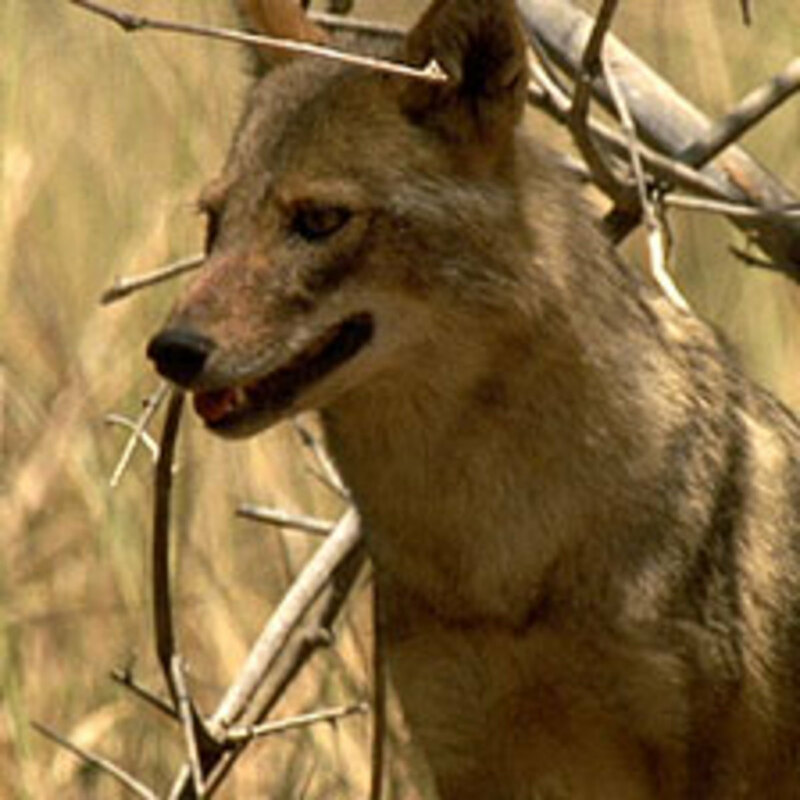 While bad deeds, such as the jackal’s theft, will return later as bad fortune. Even if the act is severely detrimental to the actor it will bring positive karma if it’s done for the benefit others. 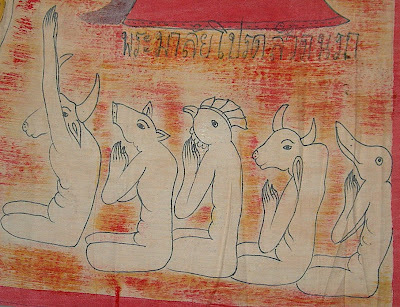 As Buddhism spread, the jatakas spread with it to become a part of literature, art, and culture of Sri Lanka, Burma, Tibet, China, Japan, and other countries in East and Southeast Asia. 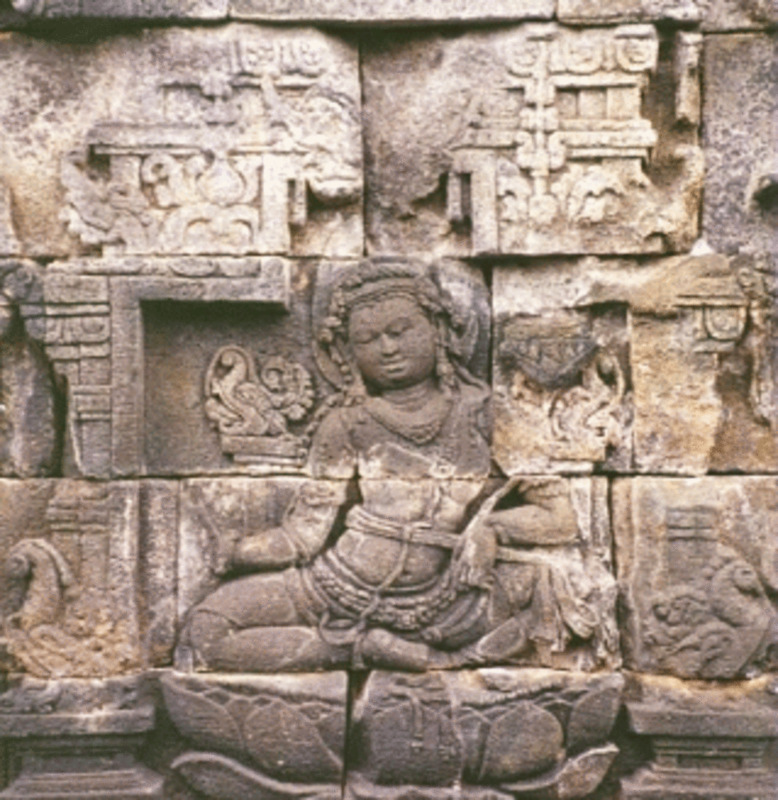 The arrangement of the Jataka as we have it today may have been made as late as the fourth century A.D. based on the text preserved by Sri Lankan Buddhist monks. 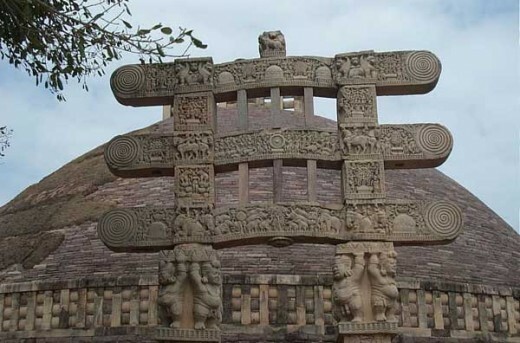 Many Jatakas are also sculpted on the north Indian relic shrines (stupa) of the Buddha at Bharhut and Sanchi (Second century B.C. 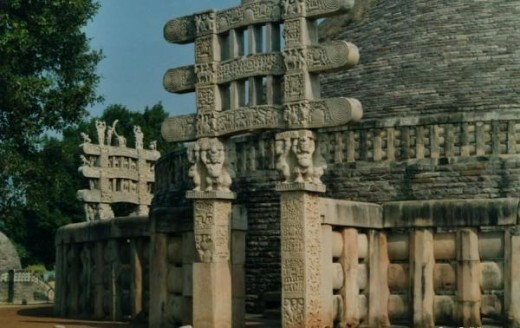 to A.D. first century) the earliest surviving Buddhist monuments in India, thus confirming the antiquity and importance of these tales in tradition. The 5 Abilities are Caused by Conditions! The origin of the ability of Faith is the desire to make a decision! The origin of the ability of Energy is the longing for exertion! The origin of the ability of Awareness is the wanting to establish! The origin of the ability of Concentration is yearning for non-distraction! The origin of the ability of Understanding is the wish to see! 1: Faith (saddhā): The Initiating Key! 2: Energy (viriya): The Motor & Fuel! 3: Awareness (sati): The Light to See with! 4: Concentration (samādhi): The Focus to Drill & Catch with! 5: Understanding (pañña): The Resultant Aloof State! The Experience of Change uproots Egoism! Finally it even uproots this core conceit that “I Am”! so that it eliminates all sense desire, lust for becoming, ignorance & egoism? Such is form, such is the arising of form, such is the ceasing of form.. Such is feeling, such is the arising of feeling, such is the ceasing of feeling.. Such is perception, such is the arising of perception, such is its cessation.. Such is construction, such is the arising of construction, & such its ceasing. Such is consciousness, such is the arising of consciousness, & such its ceasing. 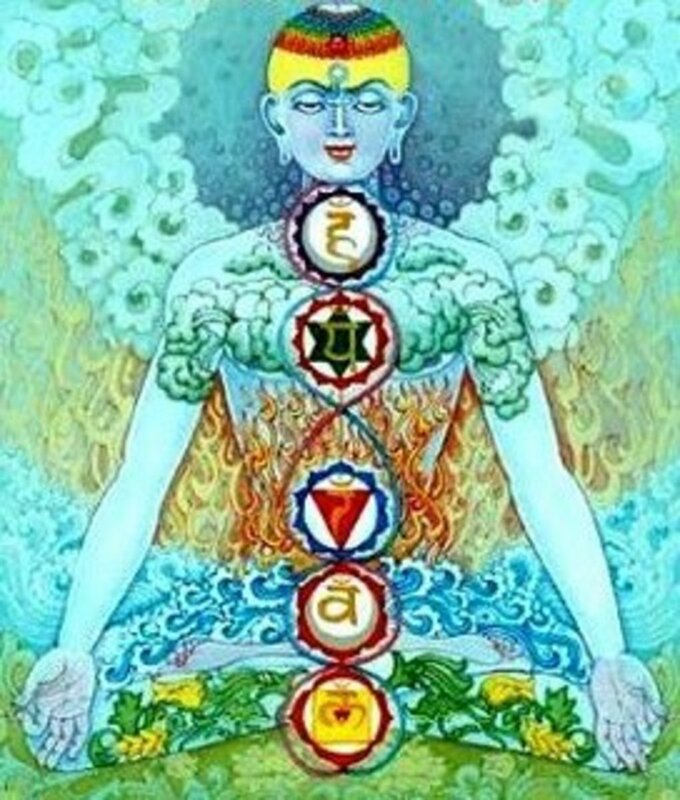 Body is caused by food, ignorance, form lust, & intention resulting in form. Feeling arises from contact, ignorance, desire for feeling, & prior intention. Perception is caused by contact, ignorance, lust for perception, and kamma. mental construction, and prior intention = kama resulting in construction. desire for being conscious, and kammic intention resulting in consciousness. Have a nice & noble day! Haryana. In Haryana, the farmers were being provided an annuity of Rs. per acre had been made. farmer can opt to have 25 per cent of the one time amount as share. farmers and it was the most progressive policy of the country. parties were trying to vitiate the law and order there. gherao of the Parliament from outside to amend this Act. the farmers the country could not forge ahead on the path of development. announced today by the CM would benefit the farmers. also present on the occasion.